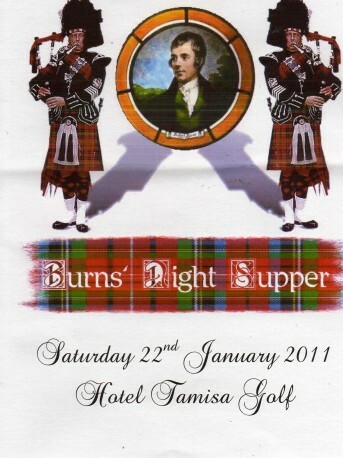 Burns Night Supper at the Hotel Tamisa Golf | Marbella Marbella – Adelante! 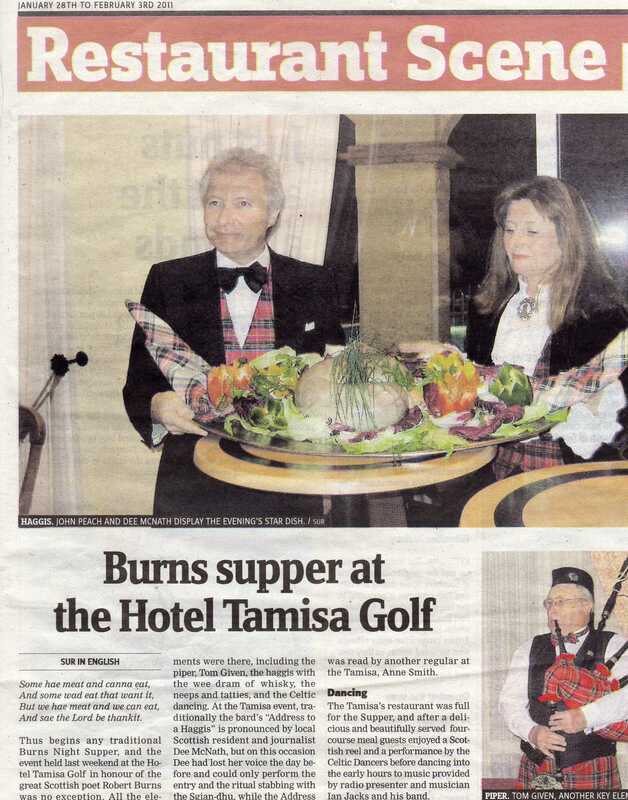 The Hotel Tamisa Golf once again hosted one of its most popular traditional annual events, “The Burns Supper” from Scotland. 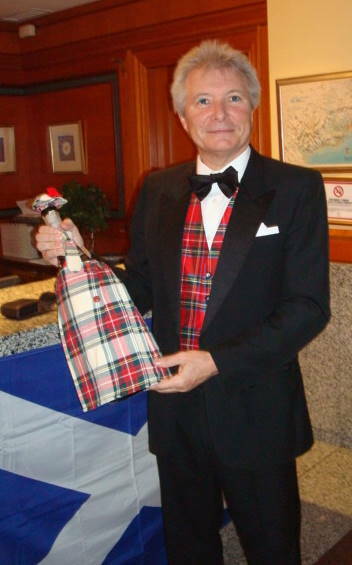 As always it was fully booked with many guests dressed in traditional Scottish tartans, kilts and regalia as well as members of the the press, who were personally welcomed by the hotel’s popular owner Mr John Peach. 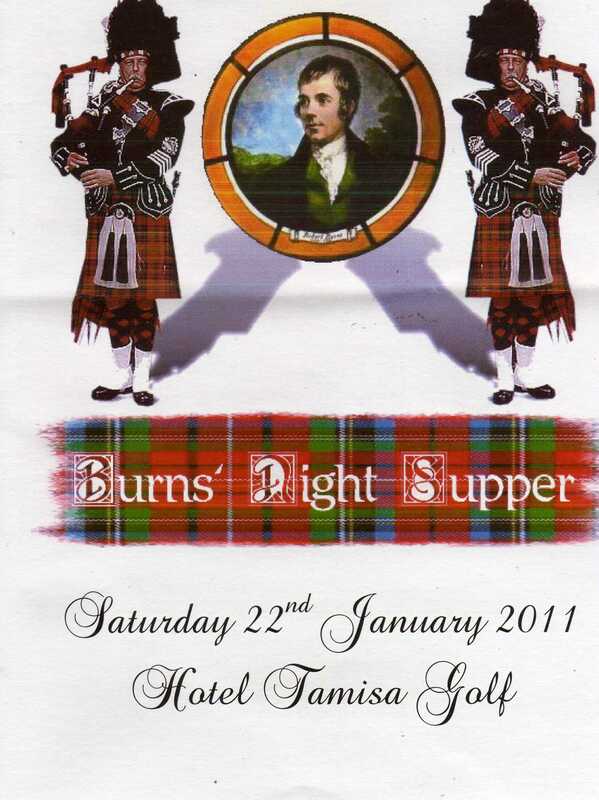 The Burns Supper is an institution of Scottish life: a night to celebrate the life and works of the national Bard Robert Burns. 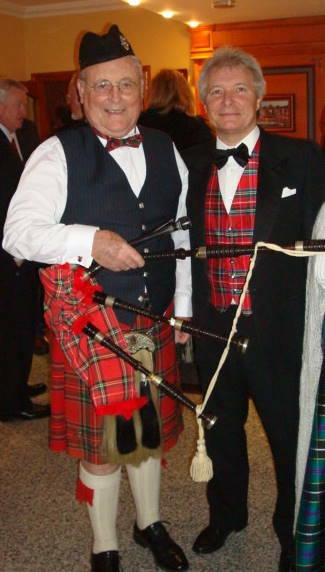 The evening formally began with the Piping in of the guests, as a Burns Night calls for a piper to welcome guests. The Piper Tom Givens played the bagpipes until the high table was seated, with a round of applause the host, warmly welcomed and int,roduced the assembled guests and the evening’s entertainment. This was followed by a short but important prayer called the Selkirk Grace was read to usher in the meal. The enjoyable evening continued with an energetic display of Scottish and Irish dancing to the sounds of exciting music, by the Celtic Dancers, a group of lady dancers who were highly applauded for their dancing skills and the evening was completed by the super sounds created by radio presenter and talented musician Ian Jacks and his band who sang many popular hits and kept the happy guests dancing till late into the night. Well done Tamisa for another superb evening. 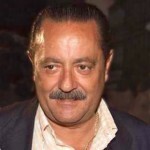 "All Around My Hat" - Dario's Musical Memory Lane!